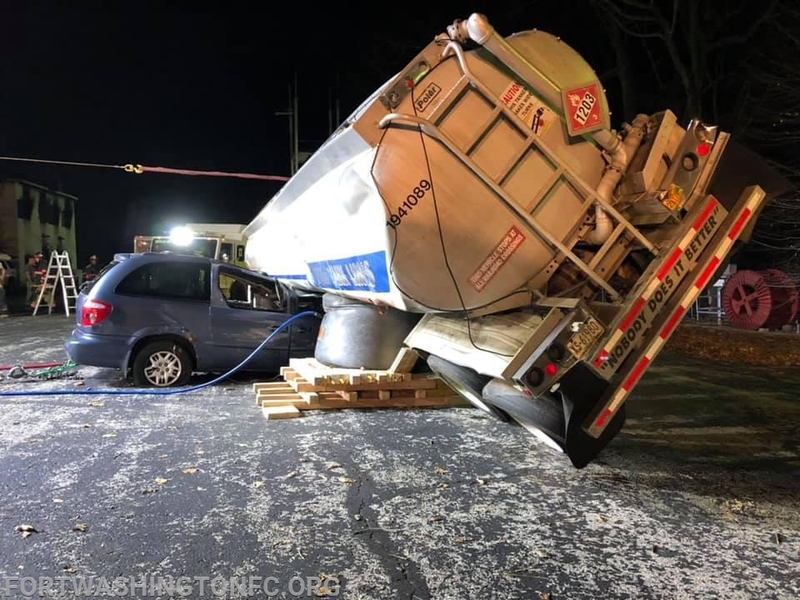 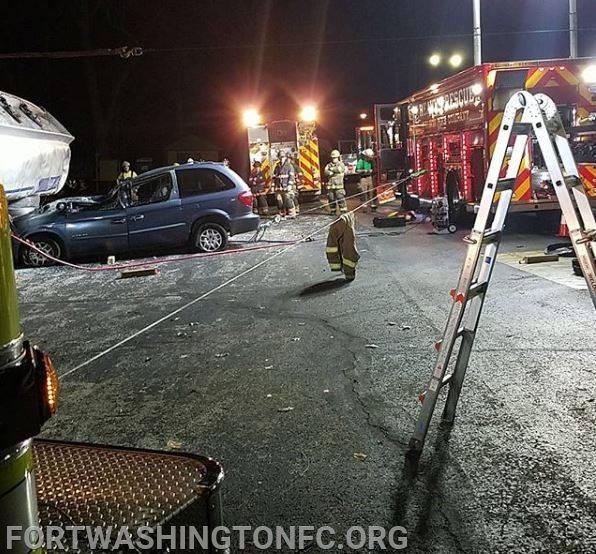 On Monday night April 8, 2019, FWFC hosted Weldon Fire Company Rescue 300 and Penndel Towing and Recovery to train on tanker rollover operations, simulating a large tanker carrying flammable liquids rolled over onto a passenger minivan. 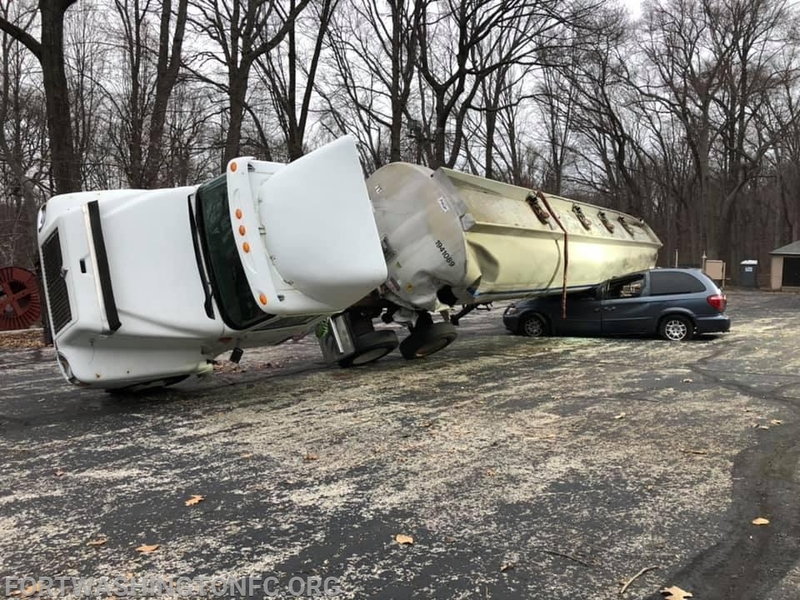 FWFC crews worked to stabilize the tanker with our Paratech Heavy Vehicle Rescue struts while Weldon crews used their low-pressure airbags to do the same. 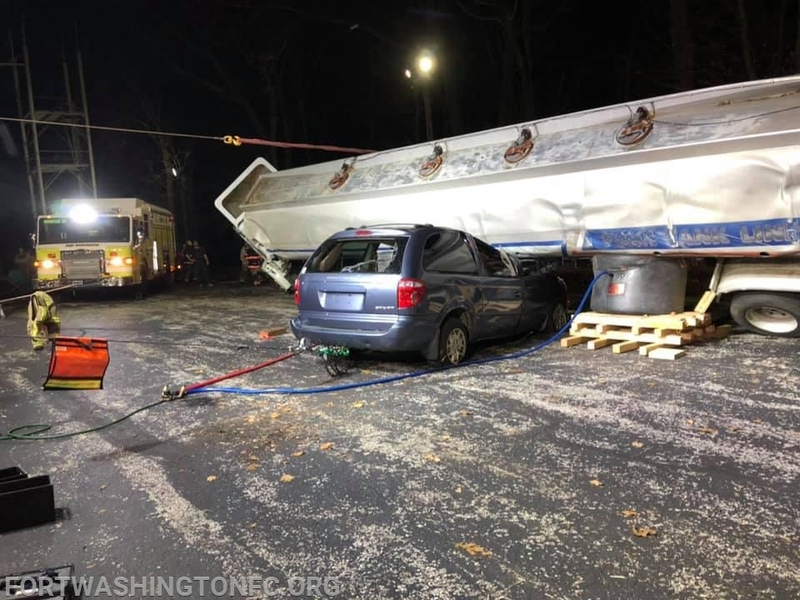 Once stabilized, crews used the low-pressure airbags to lift the tanker off of the vehicle and used a winch to pull the vehicle out from under the tanker. 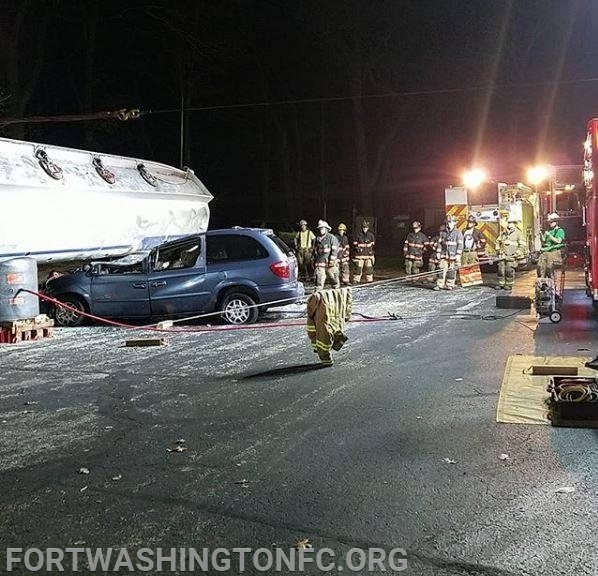 FWFC and Weldon crews then switched roles to cross-train on the equipment carried by both companies. 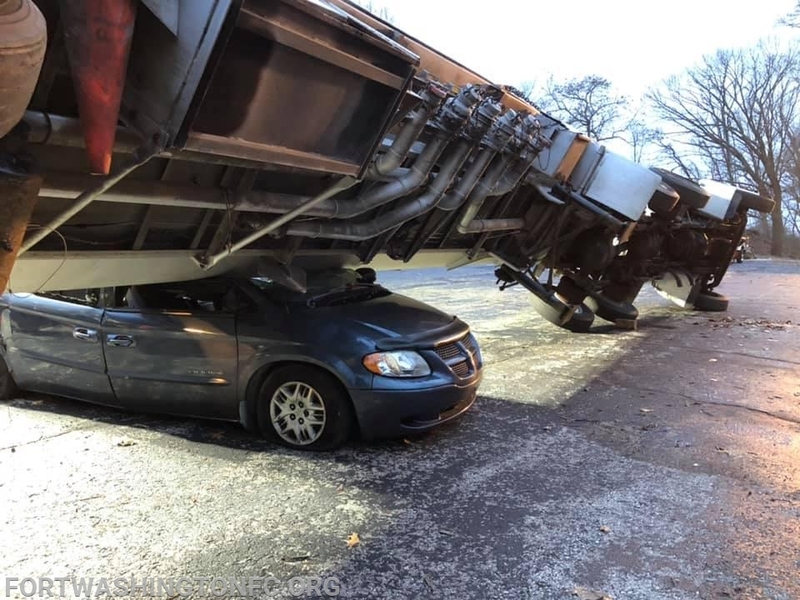 Penndel Towing & Recovery is one of several local resources with specialized equipment for heavy vehicle rescues and trains regularly with many local fire companies.